DUNWOODY, Ga. -- Did you see some unusual sights or hear unusual sounds in Dunwoody on Thursday? Blame (or thank) Hollywood. 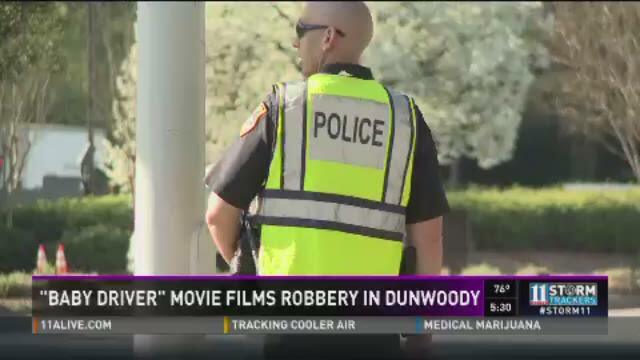 Movie crews filmed scenes for Baby Driver, a movie starring Jamie Foxx, Kevin Spacey and Jon Hamm along Ashford Dunwoody Road. The movie features a car chase from a fictional bank – Perimeter Trust Bank – down the street. DUNWOODY, Ga. -- Police in Dunwoody believe a shoplifter was feeling the heat long before they caught up with him. And when they did, his response was priceless. On Friday, police responded to Macy's department store at the request of loss prevention officers dealing with an unusual case. Officers watched a suspect go into the dressing room with several pairs of pants and shorts. But when the suspect left, they had mysteriously disappeared. He wasn't carrying the clothes but they weren't in the dressing room either. The suspect then attempted to leave the store but was detained. That's when the rest of the story unfolded - and the suspect's plans unraveled. DUNWOODY, Ga. -- When someone gets caught committing an alleged crime, the excuses can get pretty wild. Just ask members of the Dunwoody Police Department. The department posted a "creative" response when they caught an apparent shoplifter. Officials said they were called to a store where the alleged shoplifter was seen walking around the store with a shopping cart - and a purse full of empty grocery bags. But they didn't remain empty for long, police said. Police said the woman was filling the empty bags with groceries as she walked around the store and placing them in her cart. But soon, police said she walked right out the front doors with the cart and groceries. The Dunwoody Department's page then provides the woman's explanation for her action. DUNWOODY, Ga. -- It almost became a competition between Atlanta and DeKalb homeowners -- who had the higher water bills? 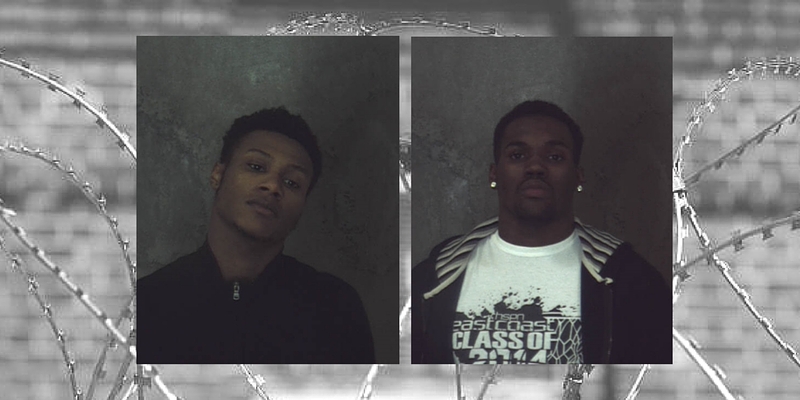 DUNWOODY, Ga. -- Two men have been charged with murder after Dunwoody police found a body inside an apartment complex. Tuesday, police announced their investigation lead them to arrest Kashawn Mitchell, 22, and Julius Bynum-Horn, 21. Both are charged with felony murder. DUNWOODY, Ga. -- Dunwoody police are saying a driver that crashed into a house clearly didn't heed their warning about drinking and driving this holiday season. By social media, the department reported that they responded to a home on Manhasset Drive around 3:30 a.m. where a truck had struck a home. Police said the vehicle crossed three yards before striking the home, rupturing gas and water lines and forcing the brief evacuation of neighbors. Police said the driver of the pickup truck - who was not named in the post - though he was in Cobb County heading to Woodstock. "We changed his assumed route for him and transported him to the DeKalb County Jail instead," the department said on their page.